The Southern end of South America, in between Argentina and Chile, has been inhabited by indigenous populations for more than ten thousand years, being a land of conquest for the Spanish conquistadores in the 16th Century. Moreover, Patagonia, extending towards Antarctica, is also one of the first ecological focus area to be established by International Agreements. A pivotal biodiversity treasure which needs to be promoted worldwide and known by new generations. What better way to do this on a globetrotter eco-friendly catamaran? Is that possible? 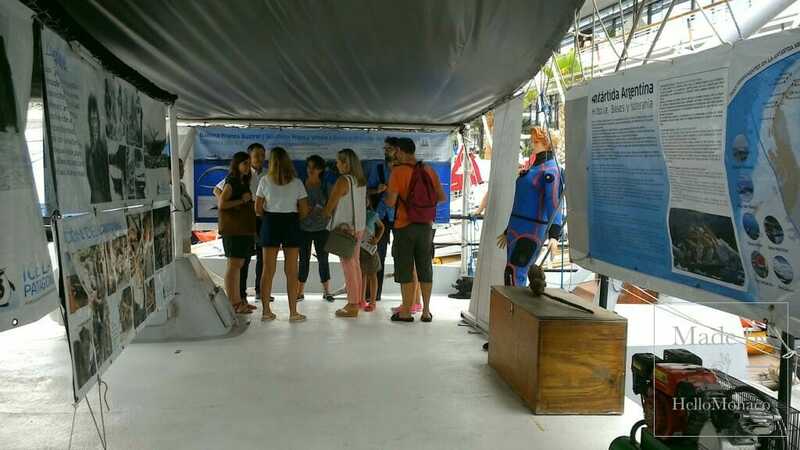 The non-profit “Asociación de Exploración Científica Austral” (Southern Scientific Exploration Association), founded in 2001 in Buenos Aires (Argentina), turned the dream into reality thanks to the will of both scientific and amateur volunteers with the passion to explore, increase eco-awareness and encourage water sports. 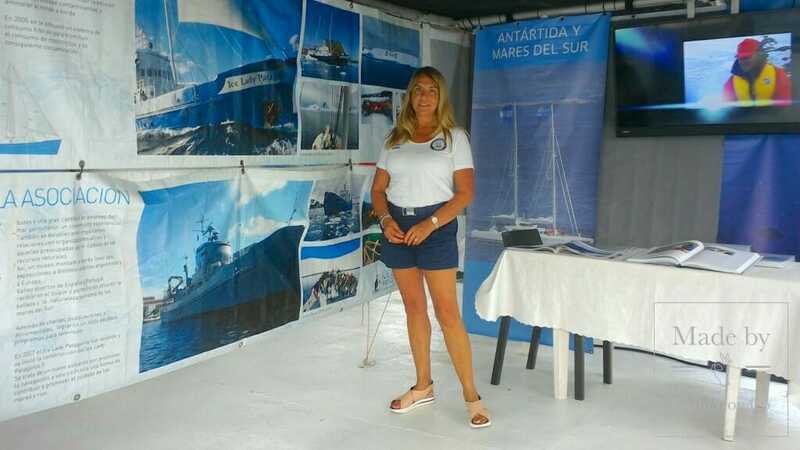 Hence the idea of a free-floating museum called “Antártida Argentina y los Mares del Sur” (Argentinian Antarctica and the Southern Oceans), with the view to set sails from Argentina to the Mediterranean Basin, via Spain, France, Principality of Monaco, Italy and Greece, in a period between 25th March 2018 and September 2018. 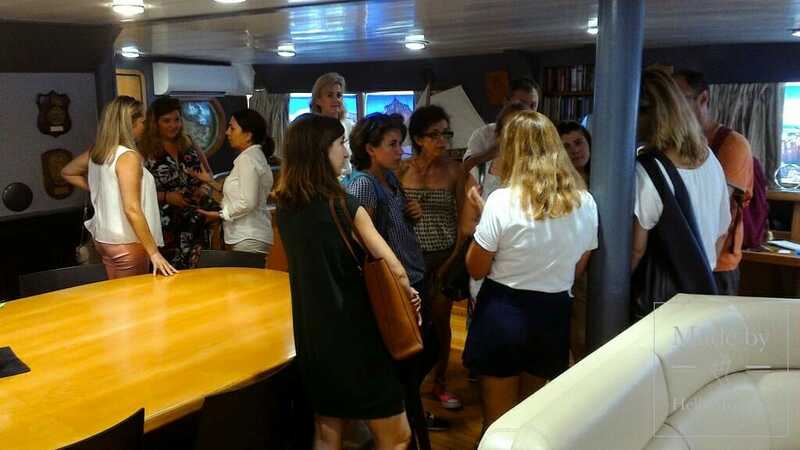 Marta Santini May introducing HelloMonaco to the floating exhibition on board the “Ice Lady Patagonia II” (Yacht Club de Monaco docking). 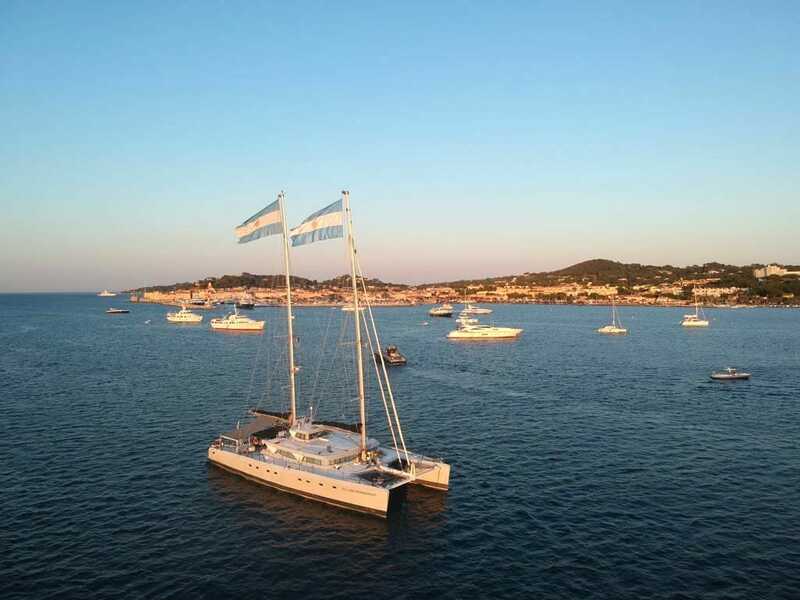 The 30-metre-long sail catamaran Ice Lady Patagonia II promptly arrived in the Principality at the Yacht Club of Monaco on the 25th July 2018 to stay until the 28th, hosting H.S.H. Prince Albert II of Monaco, a delegation from the Musée Océanographique and many Monegasque visitors, of all ages. 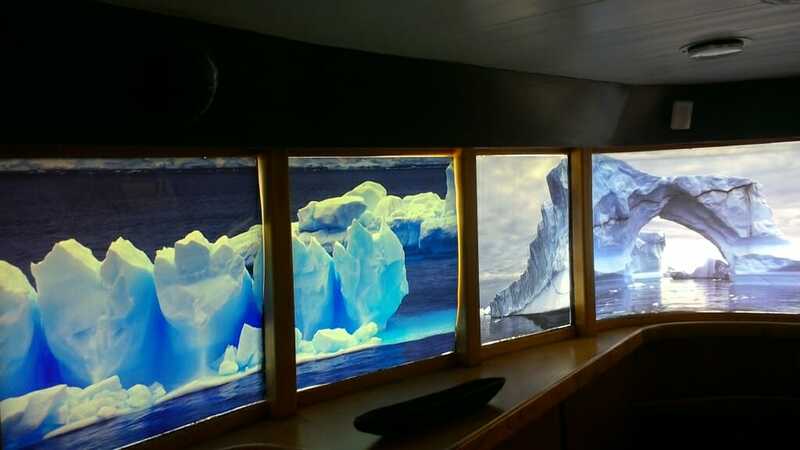 Climate Change, protection of marine species, fight against plastic pollution are just some of the environmental issues covered by the sensorial onboard expo made of many tactile and visual elements. The visitors can plunge themselves in an intriguing story of ocean explorations to the discovery of Southern American territories that used to be dominated by Yámana indigenous populations whose traditions inspired the Portuguese explorer Ferdinand Magellan to name this Country “Tierra del Fuego” (Fire Land). 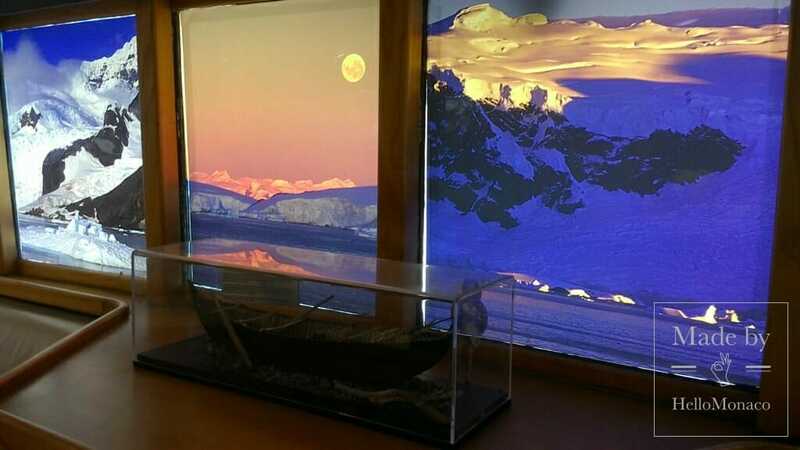 Then, the guests can enjoy an Antarctic unique viewpoint on the mysterious shipwreck of the legendary Norwegian whale-ship “Governoren”, surrounded by eye-catching frozen landscapes populated by endangered Antarctic species like the Southern right whale. 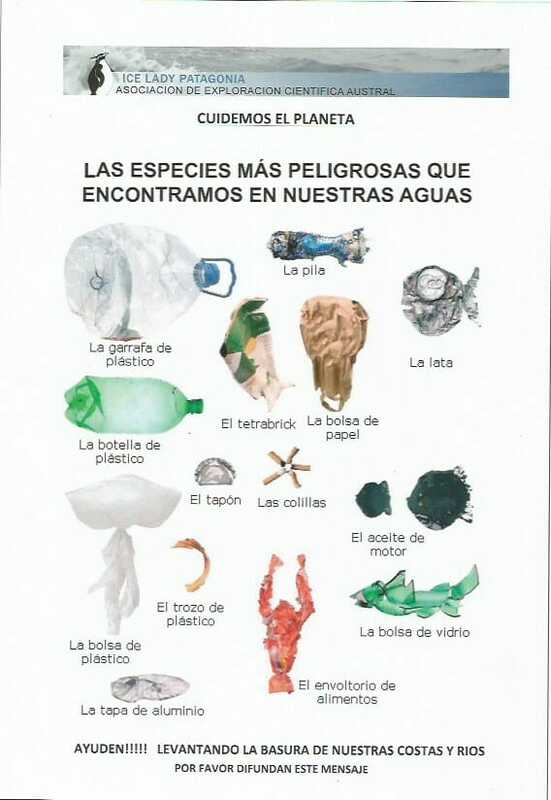 Eco Awareness Campaign against marine plastic pollution sponsored by Ice Lady Patagonia – Asociación de Exploración Científica Austral. But what is the real target of this adventurous trans-oceanic voyage? 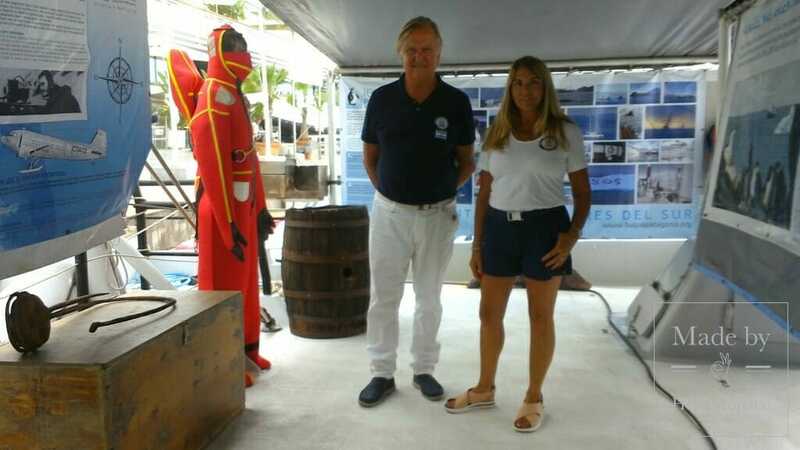 HelloMonaco asked it to Jorge Federico May, Captain of the Ice Lady Patagonia II, who was excited to reach the Principality for the second time. JFM: This is not the first time we have been experiencing a travelling exhibition with the goal to give the visitors an authentic idea of Patagonia and Antarctica throughout evocative photo galleries (by the talented professional photographer Juan Pablo Pereda) able to increase their environmental considerations. 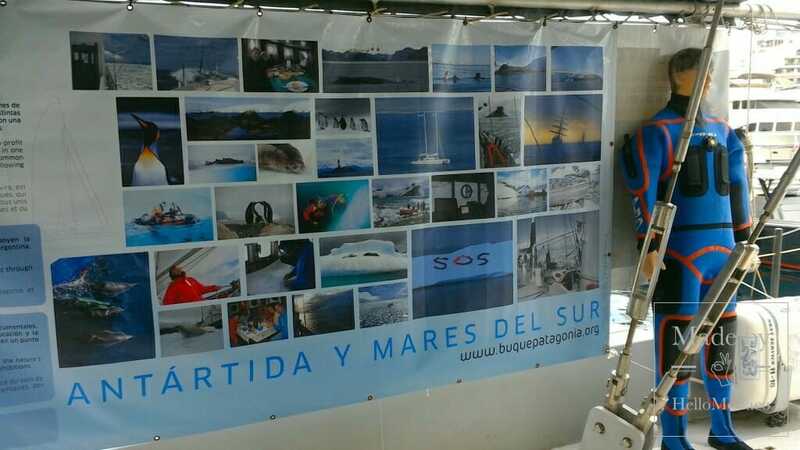 Since the very first exhibition, “S.O.S. Antártida”, about ten years ago, we have found out how powerful images were in communicating the environment. That idea has not changed in time. Many visitors are still offering their help to preserve that unique ecosystem after visiting our exhibition. Among them, children are committing themselves most, boosting seeds of hope for our Planet’s future. That is a source of pride for us! 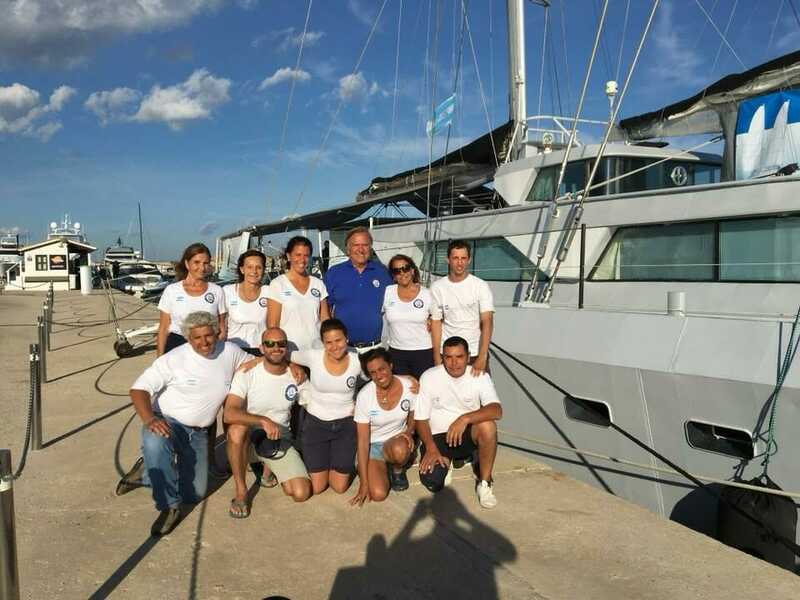 The 2018 voyage crew of the “Ice Lady Patagonia II”. HM: Are you enjoying your stay in Monaco? JFM: Absolutely yes. The Monegasque audience, in particular, confirm its strong interest in the Antarctic Area pushed by major institution like the historic Oceanographic Museum, result of a well-established passion for the Poles in the Grimaldi’s Family. HM: Did you have to face storms or other extreme weather conditions during your voyage? JFM: Fortunately, this time we succeeded to avoid them apart from a strong wind, up to 135 knots, at the beginning of our journey last March, in South Argentina (where now it is wintertime). 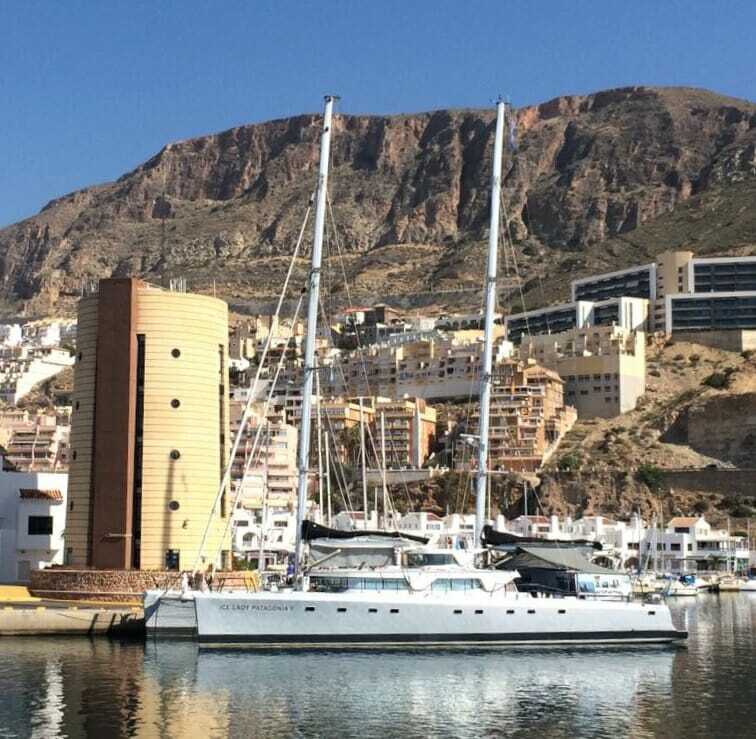 “Ice Lady Patagonia II” approaching Aguadulce (Almería, Spain) during its 2018 voyage across the Mediterranean Basin. 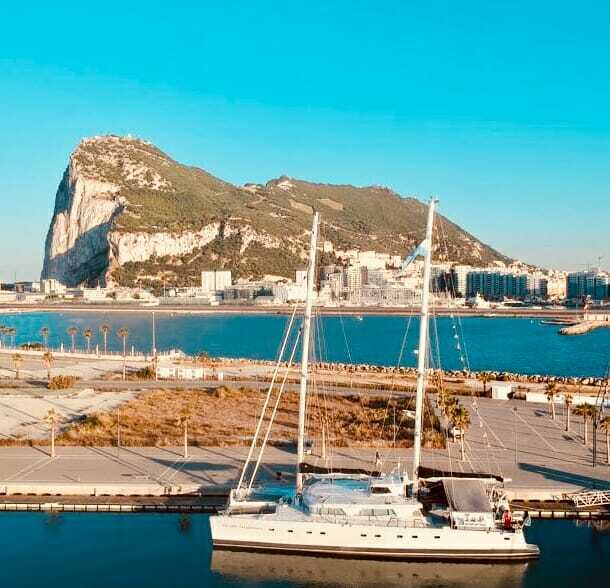 “Ice Lady Patagonia II” approaching Gibraltar during its 2018 voyage across the Mediterranean Basin. HM: If you were asked to send a message to the world from this experience, what would you say? JFM: Let us help the Planet like we help each other. I do believe that nowadays environmental awareness has developed everywhere so that we should use more pictures than words. 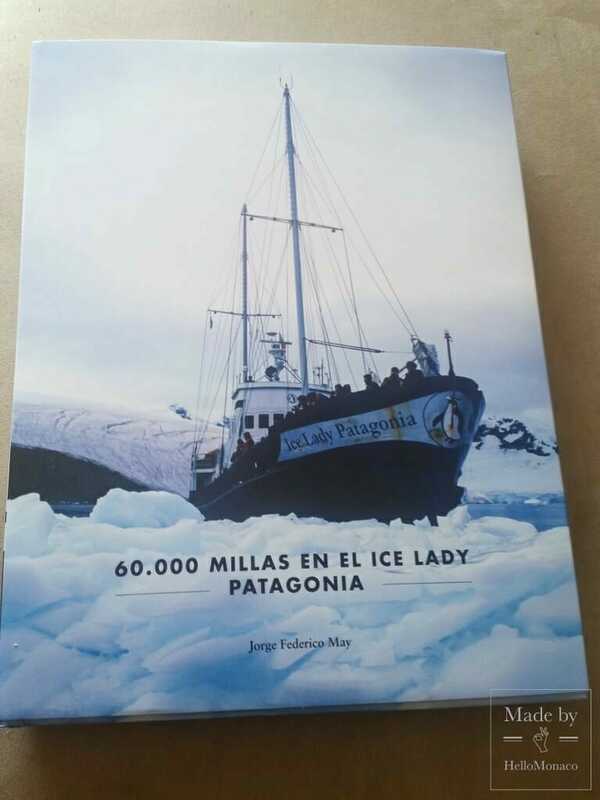 Overview on the “Ice Lady Patagonia II” during its 2018 voyage across the Mediterranean Basin. HM: What about your future plans? JFM: Despite its innovative self-sufficient rainwater collection system and other eco tools, we are thinking to change this vessel soon, by the end of this year if possible, taking into account new eco-technological devices which are changing rapidly. We are thinking about a solar energy catamaran, more energy-efficient. According to our mission, in fact, the craft represents an eco-message itself.